There is no question – handleless kitchens simply look incredible. They take modern to another level. 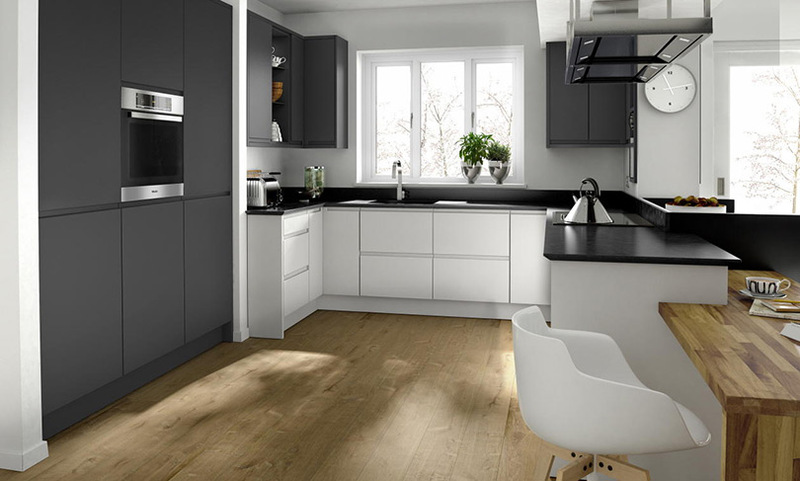 Removing the handles gives a clean, sleek and contemporary look that even the most modern kitchen styles can’t achieve. The drawers and doors are soft touch so fingerprints and marks don’t show – even on high gloss finishes. In 2018 handleless kitchens were in the demand and we predict this will increase this year. Bring it on! We love handleless kitchen design. 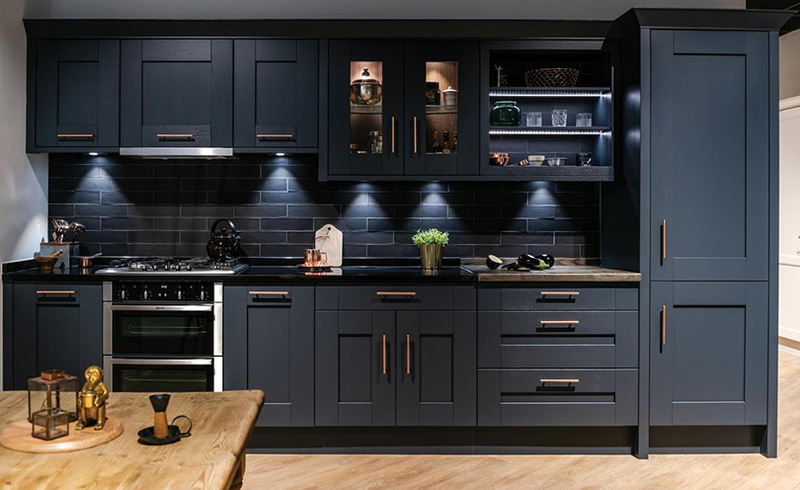 Our customers fell in love with our deep toned units and doors in 2018. They set a moodier tone and create a rich, indulgent look. We’re 100% with them on this style too! Pair these colours with a rustic bench or high specification hob and you’ve got a stunning kitchen.The most popular colours include; Harthforth Blue, Slate and Copse Green. Perhaps a style or word that’s overused or misunderstood but minimal is always a favourite at fk&b. When we’re asked for minimal our designers get excited. It’s a style we love to create – timeless straight lines, lots of white, openness and natural light. De-clutter and create a style that simplifies life.